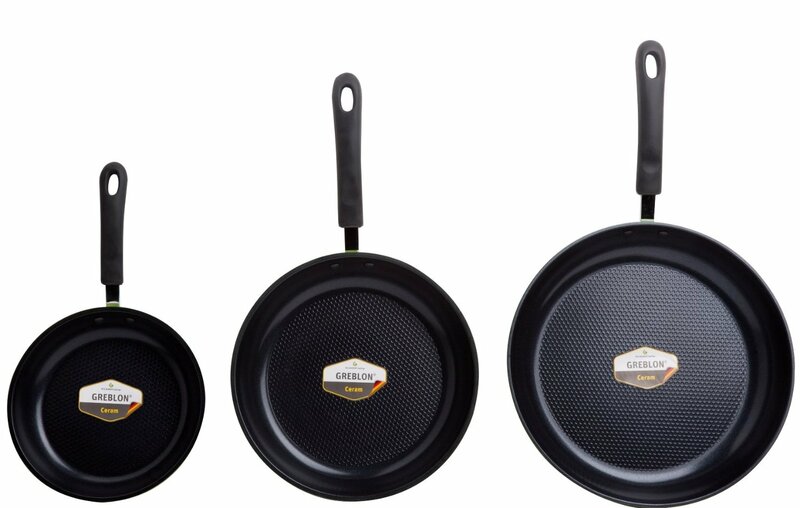 Unlike other ceramic cookware brands, each Ozeri pan utilizes GREBLON ceramic - an ultra-safe ceramic coating from Germany which is 100% PTFE, PFOA and APEO free (no heavy metals or chemicals). Innovative honeycomb textured cooking surface delivers enhanced heat distribution and unprecedented non-stick performance without releasing harmful fumes or toxins at high temperatures. Utilizes a new scratch-resistant dual ceramic coating that is super easy to clean with superior abrasion resistance. Each pan boasts a comfortable heat-resistant silicon coated handle, and a magnetized induction stove safe base for rapid heat transfer. 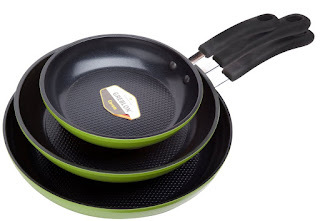 Ozeri's Green Earth Frying Pan 3-Piece Set is amazing! I love that these pans are made out of durable heavy-gauge die-cast aluminum with no heavy metals or harmful chemicals. The coating used for these pans comes from Germany and is 100% PTFE, PFOA and APEO free. As a mom of four I'm always trying to eliminate harmful chemicals from my house so I'm extremely happy to have found these wonderful pans. What I love most about them is that they seem to prevent food from burning so quickly. I'm definitely not the best cook so anything that helps is a plus in my book. I also really like that they're non stick and seem to truly be non stick. 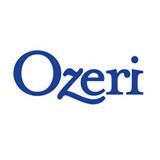 I highly recommend Ozeri's Green Earth Frying Pan 3-Piece Set!